This party is for families with children 5 years & younger. Come in costume. Bring your grogger!! This event is open to the community. Bring your friends! Fun entertainment including our favorite magician, Justin and our favorite Zumba lady, Susan. Child friendly Megillah reading and costume parade in the sanctuary led by Rabbi Scheinberg. 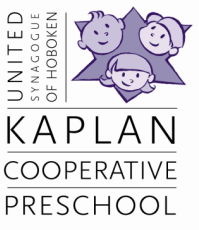 Hamantashen, refreshments and more! Family pictures: Photographer Joe Epstein has generously donated his time to take a family photo for $5.00 per picture (4x6 in a frame). Sign up in advance or at the door. Cash only. The event is free for current KPS students and USH members or $5.00 per person (under age 2 is free). Cash will be accepted at the door. ​Recommended for children ages 5 & under and their families.... abbreviated Megillah reading, entertainment & Purim snack (concluding at 6:30). Free and open to the community. Costume parade, sing along. Bring the whole family.